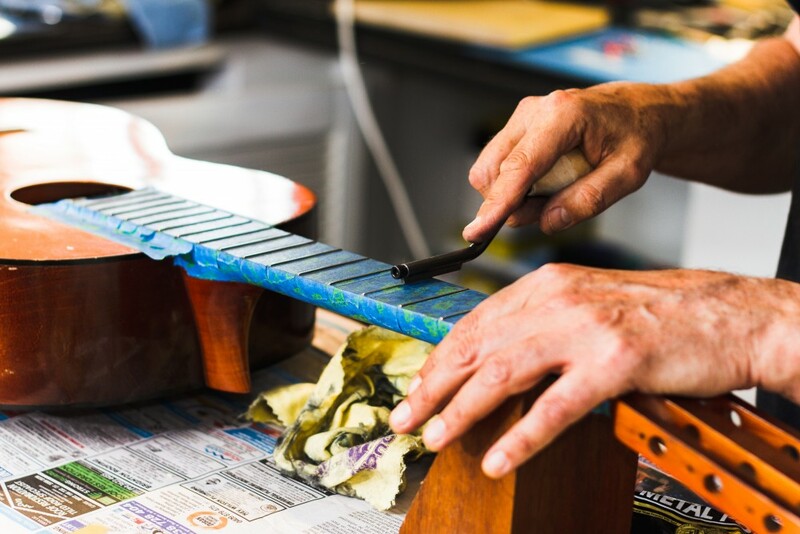 Several times per year we run our String Change Workshops so that our students have the opportunity to learn the correct way to change strings, and other tips and tricks for keeping their instrument looking beautiful and playing like a dream. This comprehensive 60 minute long session covers removing the old strings, cleaning and conditioning the body finish, selecting the right strings for your playing style, cleaning and conditioning the fret board and polishing the frets, restringing and cleaning the instrument, and retuning and play testing the guitar to make sure everything is in playing condition! Guitar strings are at extra charge. String Change Workshops are $50 and cater to a maximum of two people. For bookings or more information please contact us to make an appointment.